In 1912 Leonard Starks purchased 10,000 acres of land from the Menasha Wooden Ware Company and the Minneapolis, St. Paul & Sault Ste. Marie Railway Co. for agricultural purposes. He rebuilt the town and gave it his name, "Starks." From 1914 on, it has been known as Starks. Mr. Starks, known as the "Potato King" became a producer as well as a buyer of potatoes. After his death, his daughter, Lelah Starks, took over the land and became one of Wisconsin's most prominent potato growers and an internationally recognized authority in the specialized field of seed potatoes. Since then, seed potatoes from the farms in Stella Township have been shipped all over the United States.  In recent years, a lot of the farm land has been sold off as residential parcels, and today the Town of Stella is largely a mix of agricultural and residential property. It is a very pretty site as various crops are rotated annually, displaying an array of color throughout the entire township. Our community has a population of approximately 670 residents, creating a "big family" atmosphere in the town. Special Notice: At the Monthly Town Meeting on 5/7/2013 the proposed ATV-UTV ordinance was approved with minor changes by a quorum of the Town Board. After route and speed limit signs were placed and the ordinance was properly published/posted, the ATV Ordinance for all town roads is now in effect. Monthly Town Board Meetings are held on the second Tuesday of the month at 5:00 p.m. unless a date change is posted. Meeting agendas are posted on the three town boards located at Stella Town Hall, by the stop sign at intersection of Berger Road/Camp Bryn Afon Road/County C, by the stop sign at the intersection of Spring Drive/Tenderfoot Road and on the town website. The agendas are posted 24 hours prior to meetings.